What’s better than a monster Belgian beer? Two Belgian beers, obviously! This week I have a pair of beers from Brasserie Lefebvre, a family brewery in Quenast which is currently in it’s sixth generation. They have quite a selection of big beers in their traditionally Belgian range and the bottles I have are both honey beers. 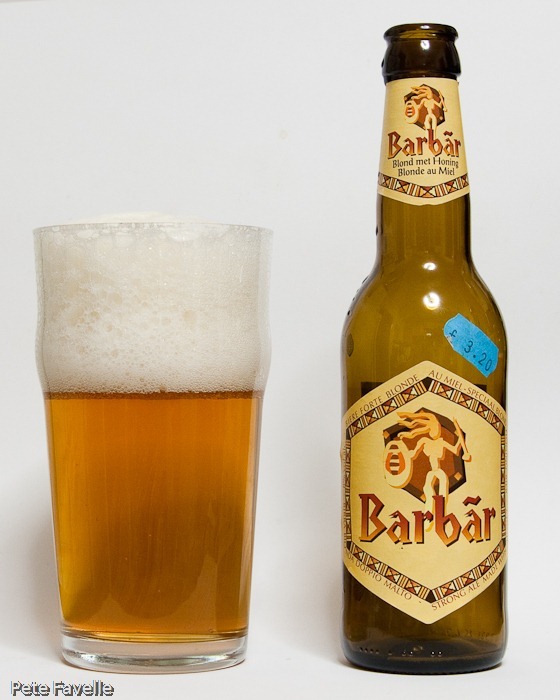 First up is Barbar, a blonde beer at 8%. It pours golden into the glass with a big, fine bubbled, generous head that ends up looking more like a latte than a beer. There’s that traditional faintly wheaty, citrus tone that I associate with Belgian beers but it’s almost submerged in a serious waft of warm, sweet honey. The taste is rich and complex; sweet, sticky honey and a surprisingly dark fruitiness combine deliciously with a medium full body while the foamy bubbles stop everything from getting too sickly. Right at the end there’s even a slight kick of dryness that only serves to make you reach for another sip. There isn’t a great deal of the alcohol in the mouth, but you can feel the warmth working it’s way down your throat. 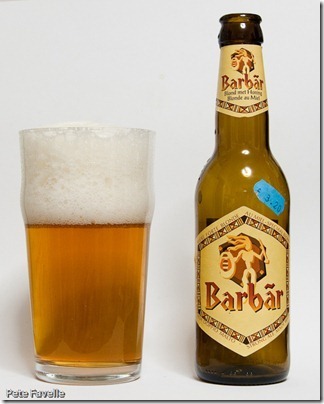 It’s a properly tasty beer, and almost too drinkable to be a monster! 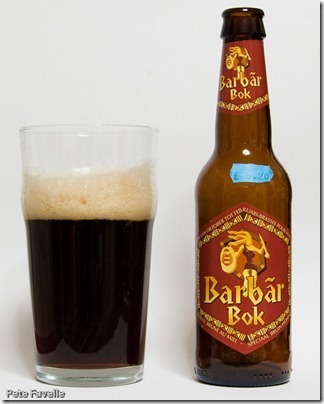 The other bottle is the Barbar Bok, a brown beer which also comes in at 8%. It’s a nice, deep brown in the glass – a little murky in contrast to it’s blonde brother, but that may be down to less competent pouring. The head is similarly fine bubbled, but noticeably smaller. The honey is still there on the nose, but less overwhelming – blending nicely with rich treacle and malt notes. It’s a curiously lighter body than the blonde, with your mouth more filled by bubbles. The flavour is full of rich dark fruit, and a far more understated (although still very distinct) honey. The alcohol is much more pronounced too, the whole thing is stickily sweet with a gentle sourness lurking. Although there’s a slight bitterness it doesn’t cleanse your palate significantly, so you’re left with a stickiness and an alcohol heat on your tongue. This pair of beers are fine examples of the Belgian art and the honey add a nice character to the flavour. 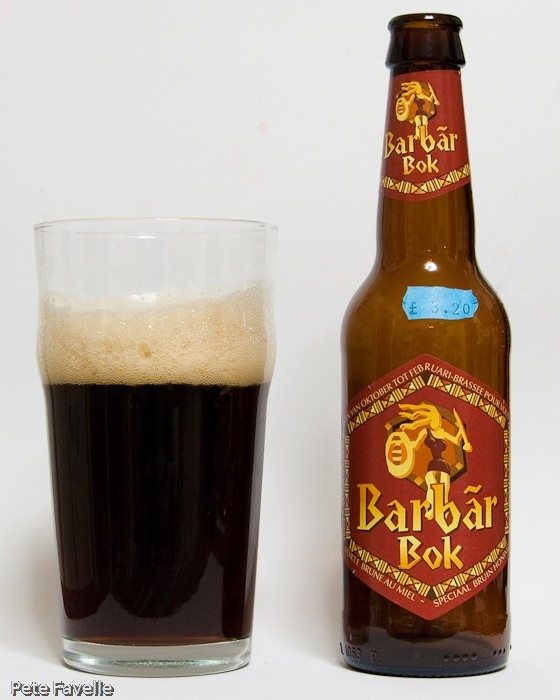 The Bok definitely feels more of a monster beer but that shouldn’t take anything away from the blonde – great stuff!